There is always some level of risk when you delve into the world of politics. I’m cool with that because this is a topic that is critical in my opinion. Now, take a deep breath before you read on. This isn’t a post that is for or against any candidate or issue. I don’t know how to do that objectively because everyone has different views, beliefs and affiliations. One thing I hope we all can agree on is this . . . voting. I believe in voting so much because I know the power that casting your ballot has. I’ve been able to vote over the past 30+ years and I’ve never missed the opportunity. Not once. It didn’t matter to me if the issues were “insignificant” to most. It was important to me to vote. This included ballots for local school levies (and my kids are grown), emergency services levies, local political offices to be filled, etc. My parents instilled this behavior in me, and they both have been personally active their entire life. In fact, my Mom still works the polls and she just turned 80. There are a few observations that I do want to mention that I see as obstacles for people participating. The first is the unending negativity that comes at us from every forum, platform and form of media. You never hear what a person can do or desires to do. You only hear how horrible their opposition is. Amazing that we are asked to make choices on who is less awful. If you know me at all, I’m not a negative person and don’t understand it. It takes some time and effort to look past the barrage of crud to see where people and/or issues stand, but it’s worth it to be educated and informed. Secondly, when people say that they “don’t have the time” I shake my head. Millions of people have no problem voting often for their favorite reality show characters on a variety of shows each week. We can make time to vote for entertainment choices, but not on candidates that may shape policy for years to come. It doesn’t make sense. I know that voting makes us drive out of our way on our normal commute, and that it doesn’t “fit” our regular schedule. However, it’s worth being put out. I’ve seen local school levies pass by less than ten votes. I’ve seen people get into office more because people chose not to show up to the polls than to actually receive votes. I’d rather see people be active in making a choice than to see someone take office just because voting was inconvenient. This week I encourage you to go to the polls and choose. I understand that we live in challenging, divergent and even divisive times. One thing you can do to affect this takes only a few minutes. This week . . . vote. 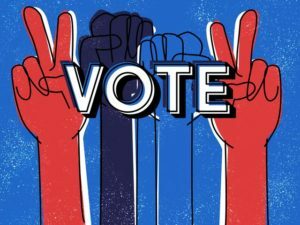 Author Steve Browne (Admin)Posted on November 4, 2018 November 5, 2018 Categories Random ThoughtsTags Advocacy, HR, HRonPurpose, HRTribe, Human Resources, SHRM, Vote5 Comments on Vote. This past week, I had the opportunity to participate in something that still seems surreal. I spent a few days in Cleveland, Ohio during the Republican National Convention. It was an incredible spectacle, and it was hard to take it all in. I was fortunate to be participating as part of the SHRM Board of Directors and the SHRM A-Team. We met with great HR pros to discuss a look ahead on how the upcoming election affected workplaces, HR and employees. If you didn’t know, SHRM attends both the Republican and Democratic National Conventions. They don’t take a political stance, and I appreciate that they are represented in both forums. The “A-Team” is a group of HR pros who are willing to advocate at the national, state and local level. They have stepped forward to make sure that the voice of employers and employees is heard by the politicians who represent all of us. If you’ve never done this, I would encourage you to get involved. Advocating makes a difference and representatives are looking to hear from us. During this time of political uncertainty, it’s needed more than ever. People share their voices and opinions with each other and on Social Media, but those have a limited reach. We are able to truly influence how the workplace is shaped if we step out past talking on forums and actually reaching our representatives. I know this may feel risky and you’re not sure if you’re up to it. However, please note that if HR doesn’t share the perspective of the employer and the employee – others will. They may not be as balanced as HR professionals are. We are in an incredible position because we represent both sides of the workplace equation. The legislative and regulatory landscape is only going to become more and more complex. I would rather see HR share directly with legislators than let them sit in a room with less context and still develop and issue new items that we will still have to implement. We need to remember that they represent us. You need to know that they are very willing to listen and are welcoming when you approach them. HR also can use this model internally. Our voice needs to be heard within the structures of our organization for the same reason that we represent both management and staff. We need to step out and not wait for things to occur and continue to be reactionary. We have the latitude and the ability to speak up intentionally for what is happening in our workplaces. Being silent and passive is not an effective way to practice HR. I encourage you to get past your anxiety and step out to lead in what we do. We can make sure that the human element of work is acknowledged, considered and included in the actions of our organizations. Being ahead of what happens to people is the exact position that HR should occupy. 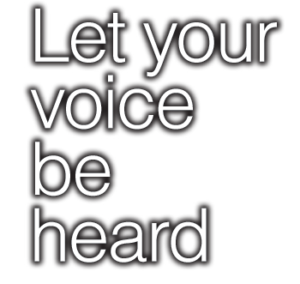 This week, step back and evaluate if your voice is being heard. If it isn’t then take a chance to move out into the light. 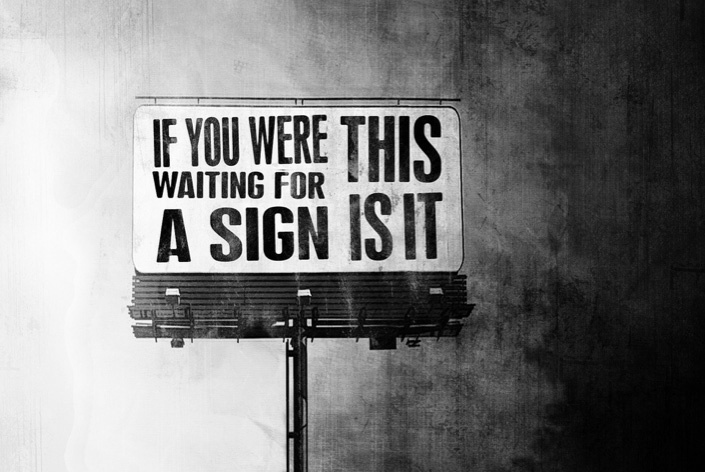 When you do you’ll see that people have been waiting to hear from you !! Author Steve Browne (Admin)Posted on July 24, 2016 Categories HR, LeadershipTags Advocacy, Difference, HR, Human Resources, intentional, SHRM, SHRM A-Team1 Comment on Be Heard !! The calendar has turned which is always exciting !! I’m really geeked about this year because it is also a Presidential election year. This post isn’t about one candidate or another because I think everyone should make their own choice for who they support. It’s unique this year because we have those vying for their party’s nomination and they are either polarizing or nominal. But it’s January. I’m sure many things will change before November comes !! There is another event which has a major impact on Human Resources which happens on Tuesday, 1/12/16 and that is the State of the Union address. It is President Obama’s final address and it will surely be filled with issues and items that affect the workplace. Don’t believe me ?? Check out his past address which ushered in the Affordable Care Act, several labor initiatives and a call for other items ranging from wages to paid leave. The fact is EVERY State of the Union address directly affects HR and the workplace. This isn’t a political call to action, it’s a reality. For the past few years the great team at SHRM‘s Governmental Affairs have been hosting the #HRSOTU – the HR State of the Union Twitter chat. I’ve made sure to watch the speech every year and also participate in the Twitter chat. It matters because it gets out the voice of HR and our perspective on the items that come up. You may say . . . but it’s just something on Twitter. Fair enough. However, every time we have one of these, it gets attention from folks in Washington, D.C. It plants seeds for an opportunity to possibly discuss these workplace items with congressional staff locally or personally in D.C.
It’s very easy to say “No” to opportunities like these and continue to implement whatever comes out as the newest law or regulation. We can sit by and just react, or we can make our voices heard. I personally know the impact that being an advocate for HR has. I’ve participated in Visit the Hill days with SHRM several times, advocated in my home state, participated in roundtables with the Department of Labor, and was even fortunate enough to testify in front of Congress. This isn’t meant to be a “brag” list. It’s an example of a regular person who is an HR professional who wants to make sure legislators hear the voices of employers and employees. You are one of those HR practitioners too !! Every time I’ve participated, the staff and/or representatives of Congress want to hear from us and not lobbyists. They want context and not posturing. It only takes your willingness to step out and try it. They want to hear your voice and your perspective. You have that built in already !! HR advocacy is key to our profession and will help shape things. Wouldn’t you rather have your voice heard than to be silent? Start with a first step by participating in the #HRSOTU Twitter chat with me and several other great HR folks from around the country. Let’s observe, comment and share. It matters !! Author Steve Browne (Admin)Posted on January 10, 2016 January 11, 2016 Categories HR, LeadershipTags Advocacy, HR, Human Resources, intentional, SHRM, SHRMATeam2 Comments on Your Voice Matters !! 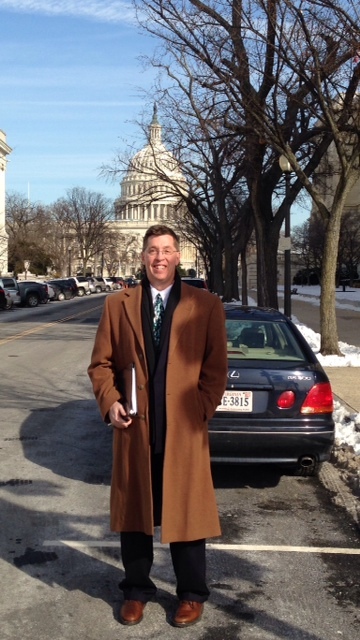 Mr. Browne Goes to Washington !! This seems to be a “bucket list” kind of year. I was fortunate enough to be elected as part of the Membership Advisory Council (MAC) for SHRM. I get to speak at SHRM National in Orlando this June !! And then, there was this past week . . .
A few weeks ago, I was sitting at the Xavier University men’s basketball game with my wife when I got an e-mail from the SHRM Government Affairs group asking me if I’d consider testifying at a Congressional House Committee. I was very moved and humbled that I was asked in the first place. After I got over the rush of the moment, I had to consider if I should do it or not. I believe in Advocacy by HR professionals and have done this at the State and Federal level for the past several years. I think we forget that we live in a country where we are allowed to share our viewpoint and participate in our government. It’s somewhat intimidating, but I have found that the representatives and their staff are longing to hear from our community because they don’t hear enough from practitioners. They do hear from many lobbyists with various special interests, but they don’t get our perspective nearly enough. So, after clearing it with my incredible employer, I said, “Yes.” I went through an interview with staff from the Committee, and last Wednesday morning I was sitting in the Rayburn Building at a long, wooden table in front of a microphone, a timer with lights and my remarks about to testify on behalf of SHRM. As Chairman Kline called on me with “Mr. Browne,” I took a deep breath and began to share my testimony. The questioning from the Representatives was heated at times. I tried to represent my employer, SHRM and HR the best I could. When it ended, I was relieved and still incredibly excited !! Trust me when I say that I didn’t take this experience lightly at all. To be a citizen sitting in front of members of Congress is something I’ll never forget. This wasn’t something where you had to side with political ideologies. It was a chance to give a business perspective from an HR pro. I hope that people can see that we are a BUSINESS voice !! I also hope that SHRM, and our community as a whole, can see there are Sr. practitioners who are involved, are engaged and want to move us all forward. Here is my challenge to all of HR . . . Make your voice heard !! If it’s in the context of your department, be heard. If it’s with your employees and your Executives, be heard. If it’s in an advocacy role at the local, State or Federal level, be heard. A wise person told me once – If people don’t hear from you, someone else WILL be heard !! HR, your perspective matters. Be confident in who you are and in what you do. This is a chance for you to set the example that you want others to follow. Being passive and hoping that things will change, or evolve, isn’t effective. By the way, as I walked out I asked if I could take my name tent. The staff wondered why I’d want a piece of paper. I told them that today mattered, at least to me. I took it back and put it in my office so I can always remember when “Mr. Browne” went to Washington !! Author Steve Browne (Admin)Posted on March 9, 2014 Categories HR Strategy, LeadershipTags Advocacy, Change, encouragement, HR, Human Resources, impact, intentional, SHRM, SHRM ATeam5 Comments on Mr. Browne Goes to Washington !! This past week the President of the United States gave the State of the Union address. Regardless of where you stand politically, it amazes me that we live in a country where it’s leader addresses the nation with his plan for the coming year. There are companies who never fully communicate the Strategic Plan for their company let alone an entire country !! While the address occurred, there were several of us who participated in a chat on Twitter that was coordinated by Lisa Horn, SHRM Director of Congressional Affairs, and Chatrane Birbal, Sr. Advisor of Governmental Affairs for SHRM. It was fascinating to hear people’s takes on things, but the underlying trend of the majority of the entire speech was . . . HR !! Seriously !! You can break it down like this – Employment and job creation (HR), Immigration (HR), Education and Training (HR), Retirement programs and MyRA (HR), Minimum Wage (HR), Equity in Pay (HR), and hiring the long-term unemployed and veterans (HR). That’s amazing !! When I read countless posts and articles about how HR is going to disappear or be irrelevant, I have to chuckle because we were the entire fabric of the COUNTRY !! How much will get done? Hard to say. Will politicians get in the way and muck things up? Probably. Do we have to fall into that same trap of inactivity and infighting ?? NO !! This is a real chance for HR to have its voice heard within the walls of their companies, their local communities, their states and the US as a whole !! If you aren’t advocating for these issues so they actually hear the perspective of HR professionals, then this is your chance to shine. Look at what’s before you instead of sitting in the shadows and complaining about more things that are forced upon you due to regulations and legislation. I’ve personally advocated at the State and Federal level and it’s invigorating !! Legislators want to hear from people who actually do the work instead of only hearing from lobbyists. The key you have to remember in all of this is that if you choose not to advocate or raise your voice, someone will who is on the opposite side of what you believe. I’ve seen this personally happen. You can be an example as well by modeling positive behavior in how you practice HR in your company !! Look at how you compensate your employees. If there is inequity, address it and be consistent. Look at the long-term unemployed and veterans groups as pools of talent and experience versus thinking about what they “don’t have” for your company. Investing in people who WANT to work for you is often more valuable then a pretty resume !! Be knowledgeable about the impact of immigration, minimum wage, retirement programs and training have on your organization. Be the business voice to Sr. Management about these as an expert and stop waiting for someone to come to you. Be proactive !! I hope you can tell that this jacks me up !! 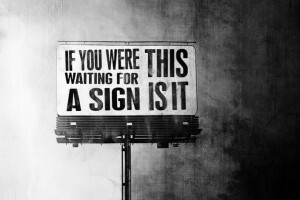 I hope you see the signs that are extremely visible in front of us. The landscape is wide open and it’s a chance for us to step up, be heard and move an entire country forward. I’m geeked and hope you join me, my fellow HRians !! Author Steve Browne (Admin)Posted on February 2, 2014 February 3, 2014 Categories HR Strategy, LeadershipTags Advocacy, Change, encouragement, HR, Human Resources, intentional, OHSHRM, SHRM, Veterans6 Comments on My Fellow HRians ! !